iOS App Wrapper Overview – App47, Inc. 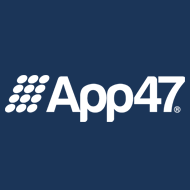 The App47 App Wrapper technology allows you to get all the great benefits of the App47 platform without having to include the embedded library during development. This can be used to quickly try out the App47 platform without having to recompile your mobile app, or manage the mobile app purchased directly from a third party. Currently this is only supported for the iOS platform, the Android equivalent is coming soon. This technology does allow you to wrap public applications from the iTunes App Store and distribute them internally but you must have written consent of the app vendor. Please use the following three links to setup, connect to your account and upload your IPA files to the App47 platform for management.